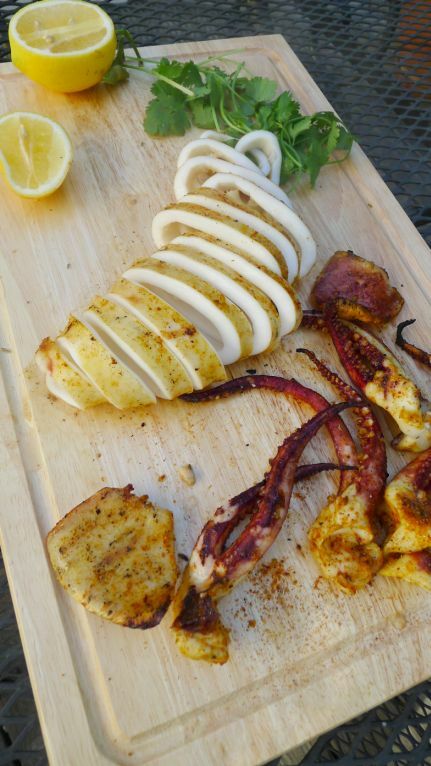 Grilled calamari is a big hit at cocktail parties so I went to the store looking for some calamari to grilled but then when I got to the store I saw that they have fresh giant squids so decided to buy them instead of calamari. 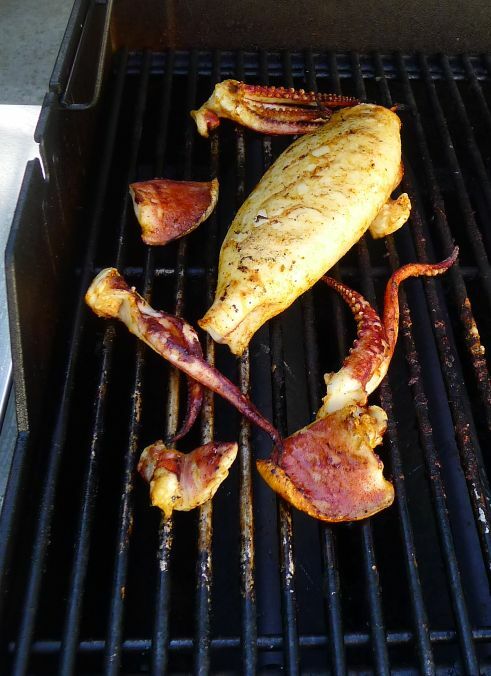 This will be my first time grilling these giant squids so I just hope they come out okay. The spice mix recipe I use has a Caribbean influence and has a really nice exotic flavor with a hint of curry, cumin, and fennel seed. 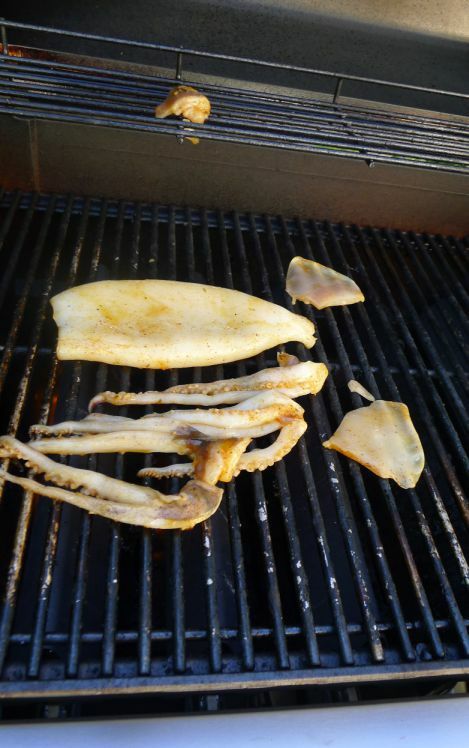 Once the squids are grilled I just squeeze some fresh lemon juice just before serving. Oh la la... they are so good! 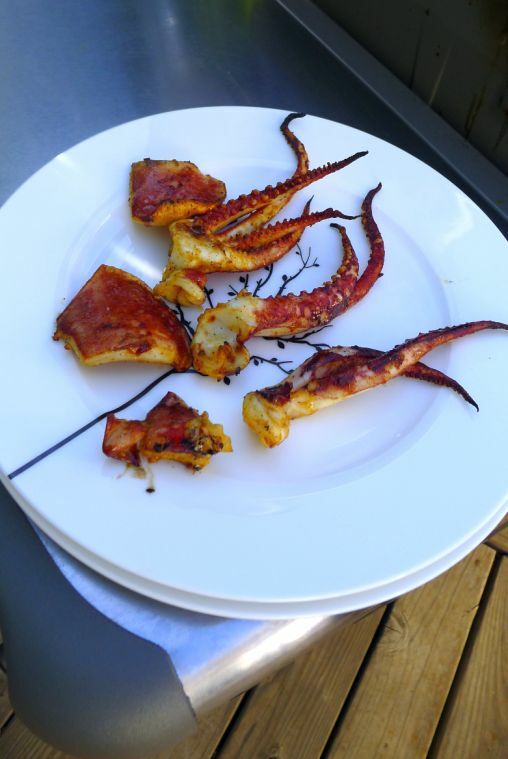 Unlike the octopus, squid meat is a lot easier and much faster to cook. 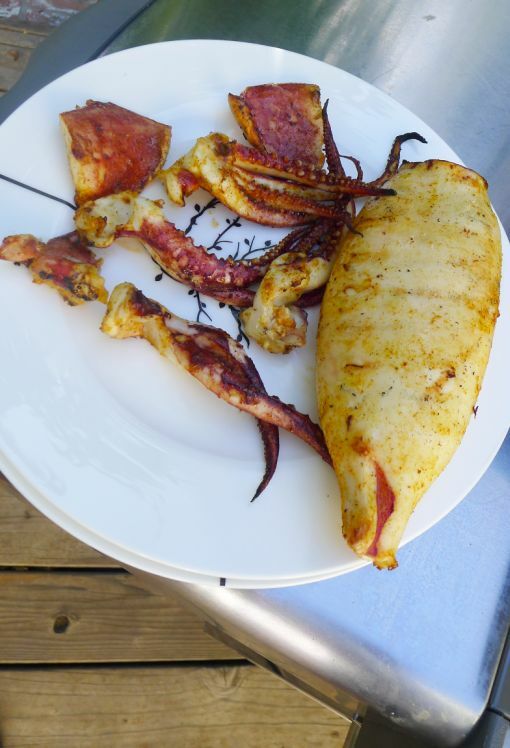 The squid is very tasty, has a really nice texture a the meat is pretty sweet. 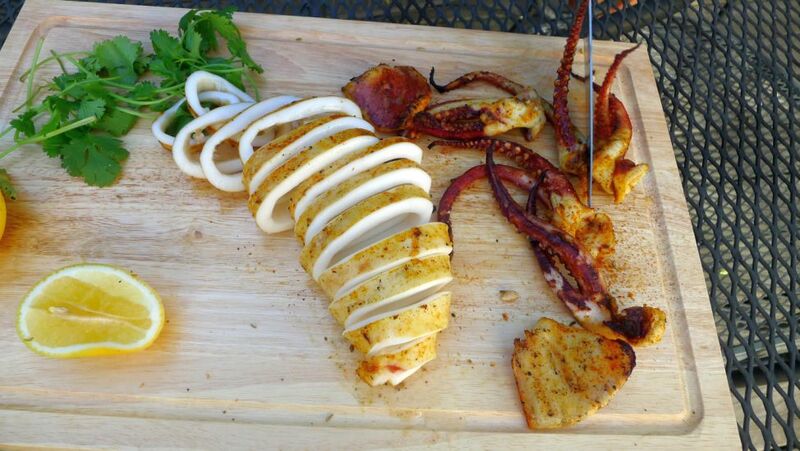 Before serving I just took a quick bite and decided to sprinkle more spice mix on top of the squid to enhance the flavor. 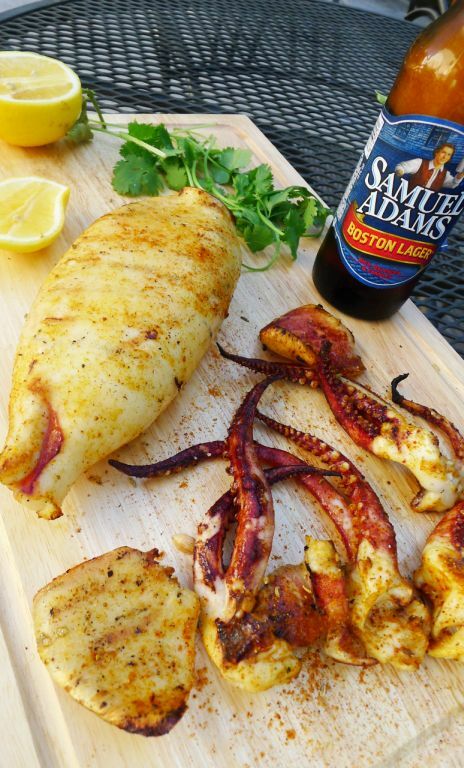 A squeeze of lemon juice over the squid is a must! 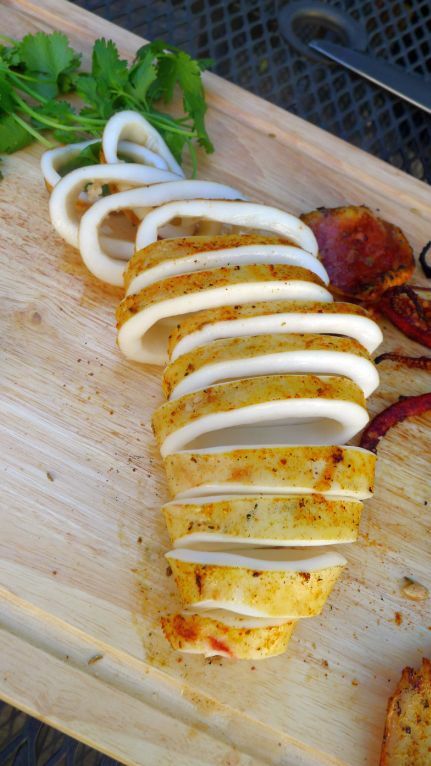 Cutting the squid into slices. 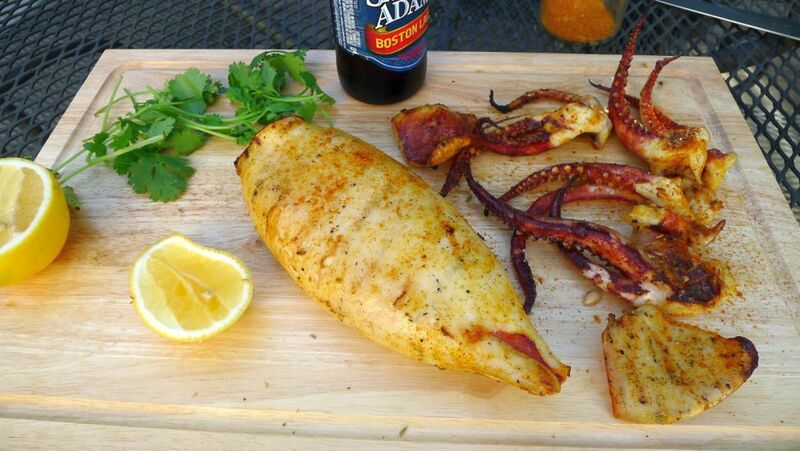 What I can tell you that as soon as I brought out the squid it disappeared in a flash. you have a choice of removing the skin or you can leave it on. Mix all the ingredients together and store it a jar for future use. 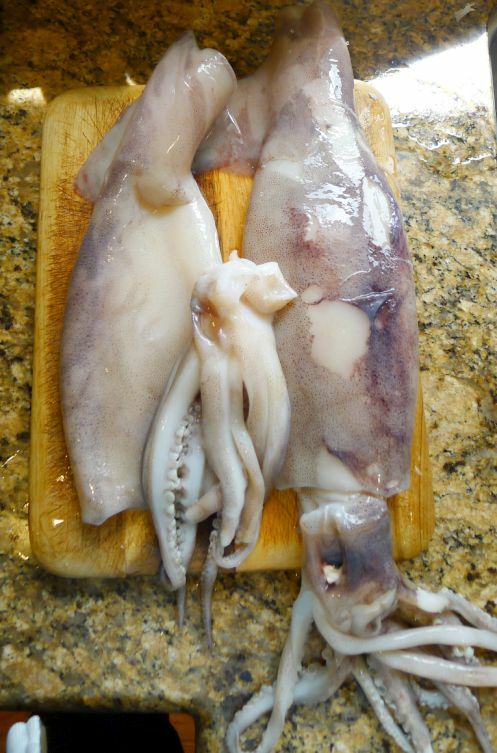 Clean the squid by holding the body firmly, grasp the head and pull gently, twisting if necessary, to pull the head away from the body without breaking the ink sac. The internal body and tentacles will come with it. Cut the tentacles from the head just below the eyes. At the center of the tentacles is a small beak. Squeeze to remove and discard. 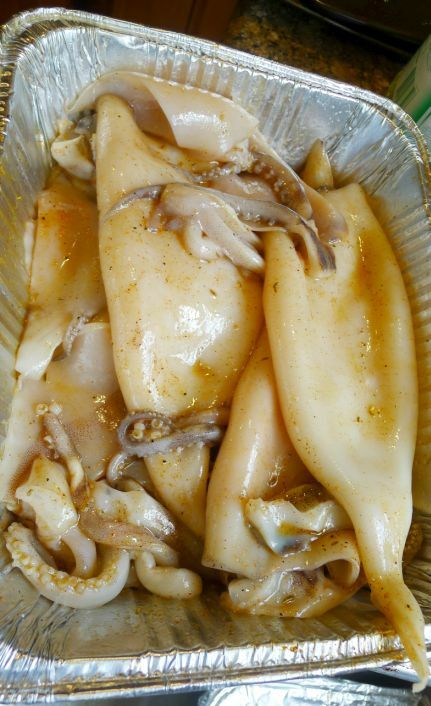 Marinate the squid with a few tablespoons of oil . 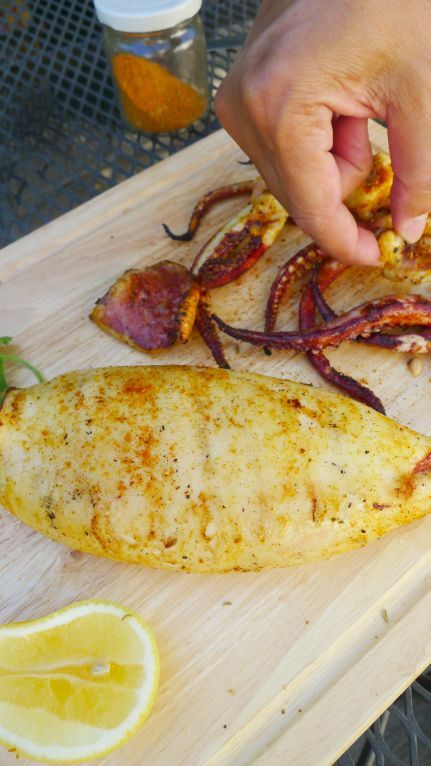 Sprinkle the spice mix over the squid and let marinate for a few hours or overnight. 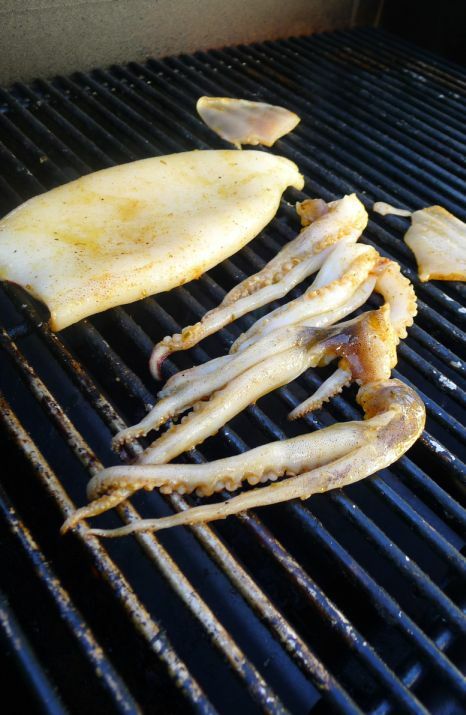 Put the squid on a hot grill for about 3 to 4 minutes per side. 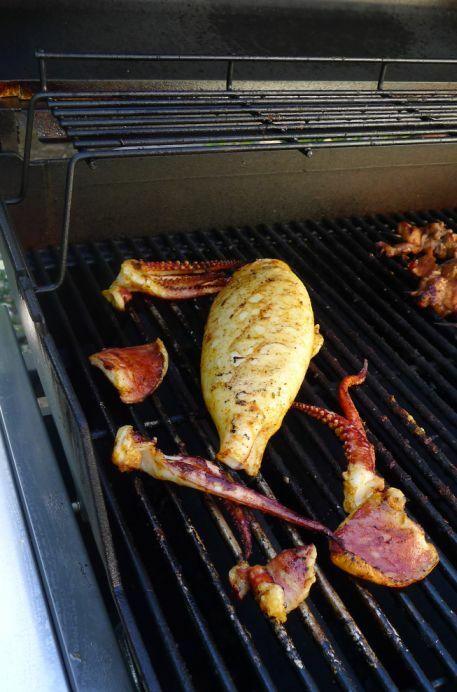 Flip the squid and grill the other side for another 3 to 4 minutes. Here they are ready to be served! Looks good right?